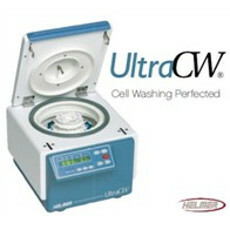 The UltraCW® provides easy, automatic cell washing for consistent and reproducible results every time. Designed in accordance with American Association of Blood Bank (AABB) guidelines, the UltraCW is ideal for applications such as blood typing, cross matching, ABO compatibility, Rh testing, Coombs testing, and antibody identification and screening. With complete programming flexibility and superior design, the UltraCW provides precise and time-saving performance. New and used HELMER UltraCW's for sale on LabX below. Find the ad listing you need and get price quotes from a variety of vendors.